Da Capo Press, 9780306823794, 288pp. At midday on May 4, 1970, after three days of protests, several thousand students and the Ohio National Guard faced off at opposite ends of the grassy campus Commons at Kent State University. At noon, the Guard moved out. Twenty-four minutes later, Guardsmen launched a 13-second, 67-shot barrage that left four students dead and nine wounded, one paralyzed for life. The story doesn't end there, though. A horror of far greater proportions was narrowly averted minutes later when the Guard and students reassembled on the Commons. The Kent State shootings were both unavoidable and preventable: unavoidable in that all the discordant forces of a turbulent decade flowed together on May 4, 1970, on one Ohio campus; preventable in that every party to the tragedy made the wrong choices at the wrong time in the wrong place. Using the university's recently available oral-history collection supplemented by extensive new interviewing, Means tells the story of this iconic American moment through the eyes and memories of those who were there, and skillfully situates it in the context of a tumultuous era. Howard Means is the author or coauthor of ten books, including the first biography of Colin Powell and Louis Freeh's bestselling memoir My FBI. He has collaborated on dozens of titles, including bestsellers by Robert Baer (See No Evil, Sleeping with the Devil), George Tenet (At the Center of the Storm), and David Wessel (In Fed We Trust, Red Ink). A former syndicated columnist (King Features), Means was senior editor at Washingtonian magazine from 1989-2000. He lives in rural Virginia. 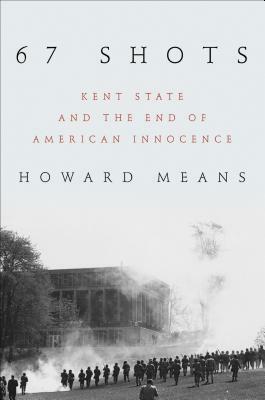 "[Howard] Means provides the most careful examination of the tragedy that beset Kent State University and the US on May 4, 1970." "[A] superb book...balanced, detailed and compellingly written."